Since December 2017, the European Commission has been running a race against time. Its trade department is doing its best to fast-track the approval of a trade deal between the European Union and Japan. 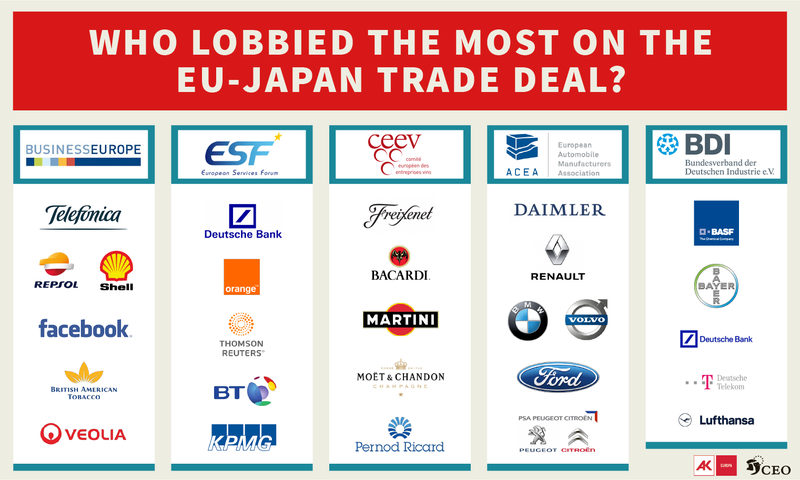 While the deal is officially called the EU-Japan Economic Partnership Agreement, the nature of the agreement is far from a genuine partnership: Many interest groups, in Japan and in the EU, have not had an equal say in the negotiations of this deal. 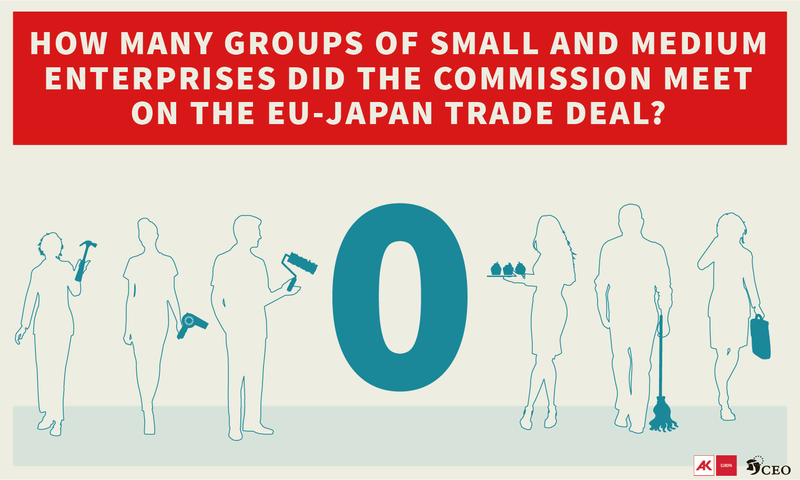 The negotiations for the Japan-EU free trade deal started in March 2013 and concluded in December 2017. 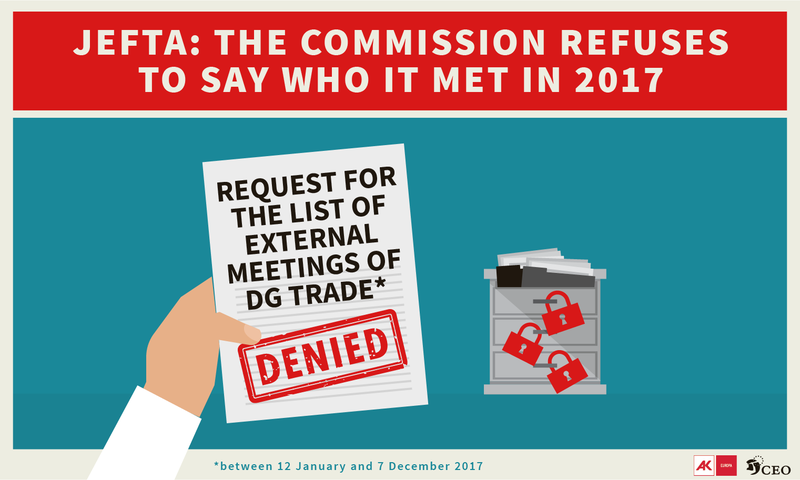 Commission files obtained via freedom of information requests show that between January 2014 and January 2017, the European Commission’s trade department (DG Trade) had 213 closed-door meetings with lobbyists to discuss the negotiations. 190 of those meetings (89%) were with business lobbyists while only 9 (4%) were with public interest groups like NGOs, farmers’ unions and consumer groups. No meetings at all were held with representatives of trade unions or with federations of small and medium-sized enterprises, and the remaining 7% of meetings were with other actors such as public institutions and thinks tanks. (Check the full data set and how we gathered it here). 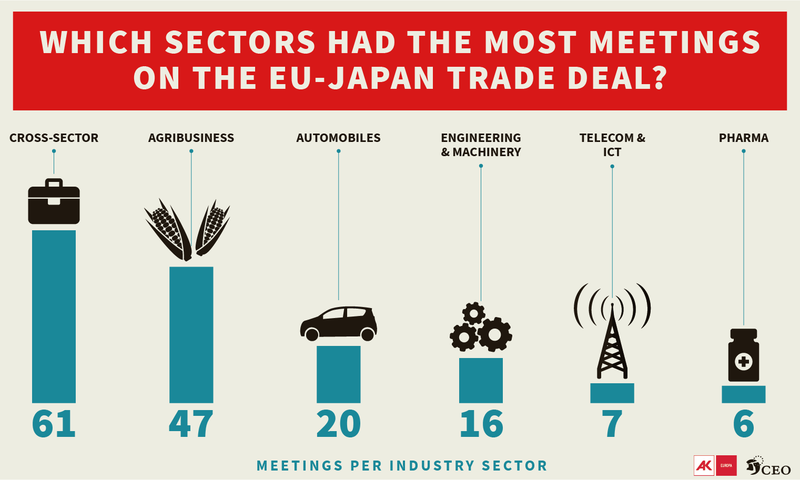 When Corporate Europe Observatory tried to obtain a similar list of meetings for the year 2017, DG Trade refused to publish this information, arguing that the necessary work to provide this list would be too “burdensome” and that the Commission is devoting all of its resources to concluding the negotiations with Japan. CEEV, the lobby group representing the European and international wine sector. It represents more than 7.000 companies. 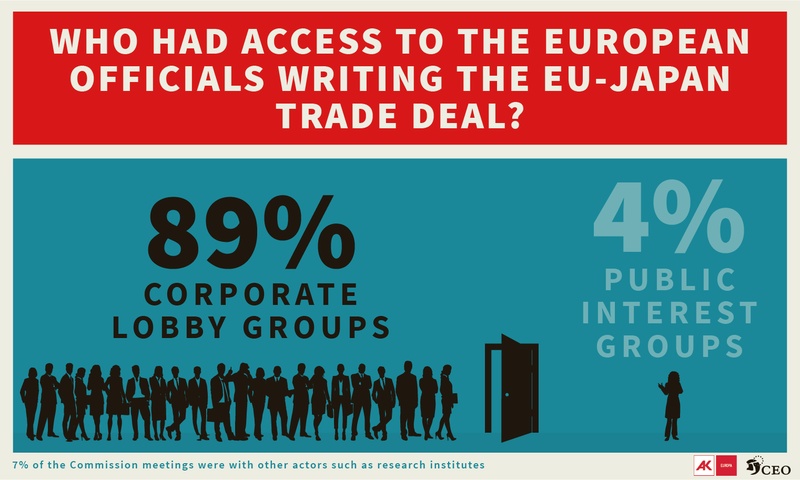 These figures reveal the strong bias of EU trade deals: Big companies are driving the negotiations, shaping the rules for global trade however they need to maximise profits.. The winners take it all. As for the others? With their voices sidelined during trade negotiations, the interests of consumers, blue-collar workers, environmental campaigners and small and medium-sized enterprises are of little consequence to the European Commission, it seems. The EU refers to a EU-Japan trade partnership. But looking at who they partner with to facilitate the deal, the only genuine partnership developing is that between EU negotiators and multinational corporations.